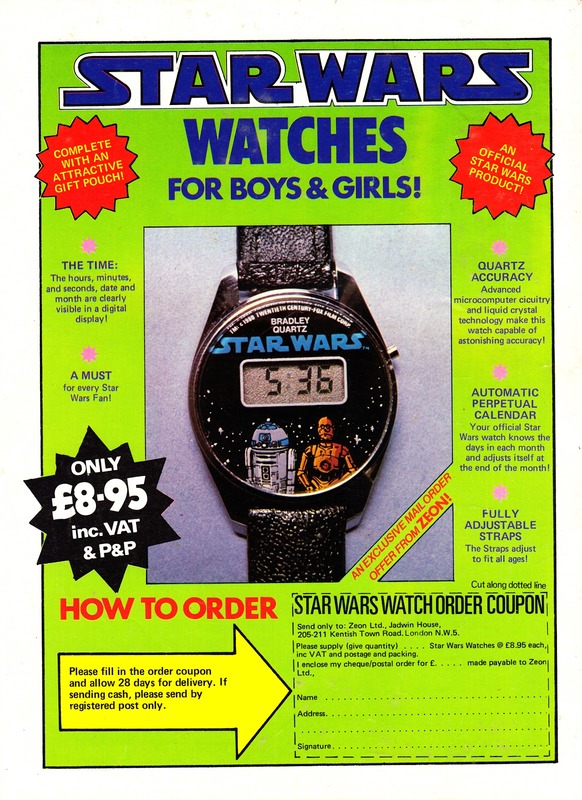 This will be a familiar sight for anyone reading Marvel UK's weeklies and monthlies at the beginning of the eighties: the advert for the Star Wars digital watch. A snip at just £8.95 all-in. Jadwin House must have been stuffed to the rafters with the things as Marvel re-ran this advert month after month. After month. Usually in colour (as here) but, occasionally, in black & white (which tended to look like a poorly reproduced photocopy of the colour version). The offer is now closed. But Panini probably still have a few cases in their Tunbridge Wells basement. Probably.